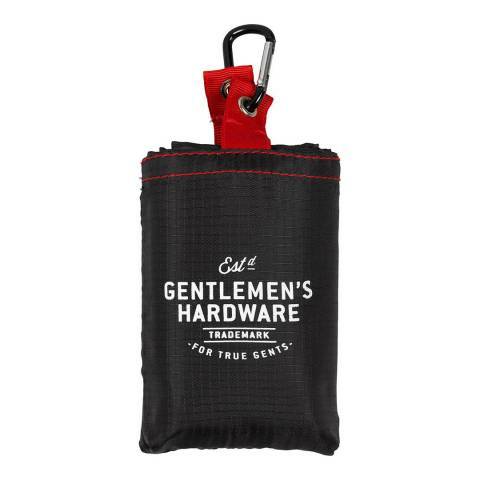 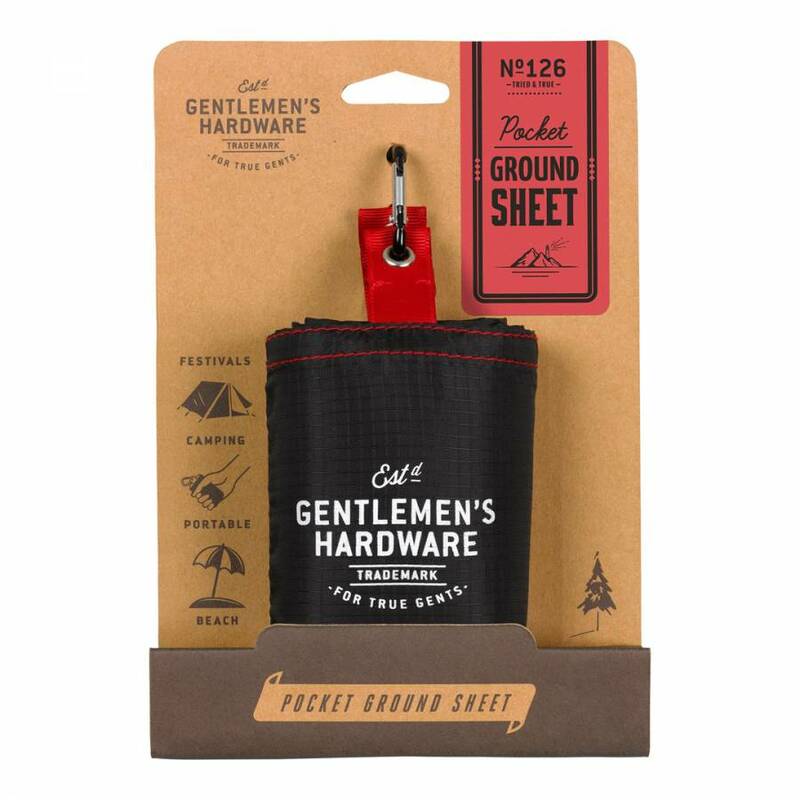 This handy Gentlemen's Hardware Pocket Ground Sheet is ideal for spontaneous picnics in the countryside, camping, those not-so-sunny festivals and on the beach. Lightweight and compact, it's made from waterproof, puncture-resistant material and folds up into a compact bag with a carabiner, perfect for on-the-go. 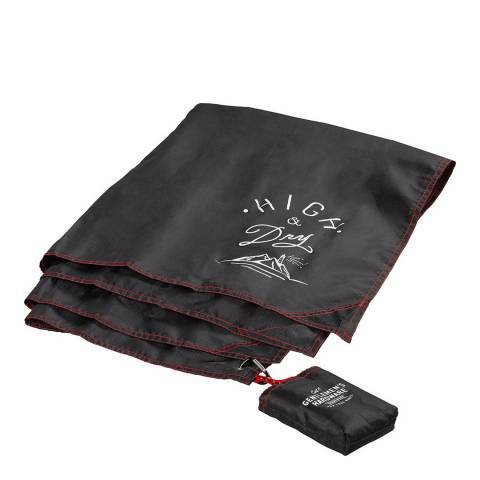 Featuring the words 'High & Dry' and weighted corners to maintain position, it's sure to hold its shape wherever you are. Packaging measures: 21 x 14 x 5cm.